This excellent 2018 report has been professionally converted for accurate flowing-text e-book format reproduction. Blessed with rich agricultural terrain, Venezuela currently retains the largest proven reserves of petroleum in the world. Surprisingly, though, the nation presently suffers from severe food and energy crises. These crises have resulted in violent protests demanding President Nicolas Maduro's ouster, yet he retains a firm grip on power. This thesis asks why. 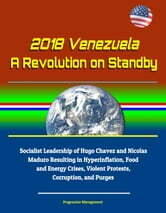 By exploring both crises, as well as President Maduro's relationship with Venezuela's elites (civilian and military leadership) and military politicization that started with President Hugo Chavez, this thesis shows the following reasons for Maduro's endurance despite the crises. 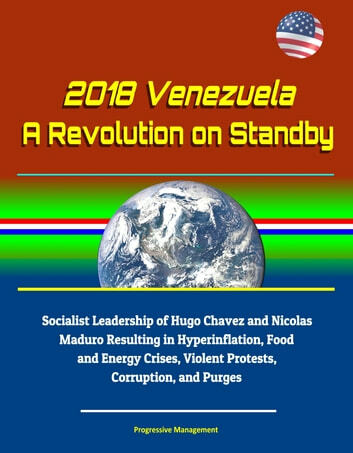 Regardless of what President Maduro states regarding sabotage and conspiracies as causes, this thesis finds that Venezuela's food crisis results from over-reliance on the oil industry, lack of a developed agricultural sector, strong dependence on food imports, government-controlled food prices, and inflation; the energy crisis derives from inadequate maintenance, a lack of appropriate investments, failure to diversify sources of energy, extreme dependency on hydroelectric power, and corruption. Last, through the lens of Polga-Hecimovich's four P's, this thesis shows that President Nicolas Maduro remains in power by implementing a system of profit, promotions, allocation of political positions, and purges, and that he also retains elite loyalty through ideological indoctrination instilled by President Hugo Chavez.